During the summer months when temperatures were high it was common practice to bury the body within twenty-four to seventy-two hours. This speedy burial prior to the introduction of modern embalming methods was to prevent the body from decomposing in the home where the funeral was usually held, which would no doubt create an unpleasant environment for mourners. During epidemics it was even more likely for someone to be buried accidentally because of the rush to dispose of diseased corpses. Some diseases, such as cholera, left the victim with an emaciated, wasted-away appearance which could be mistaken for death. 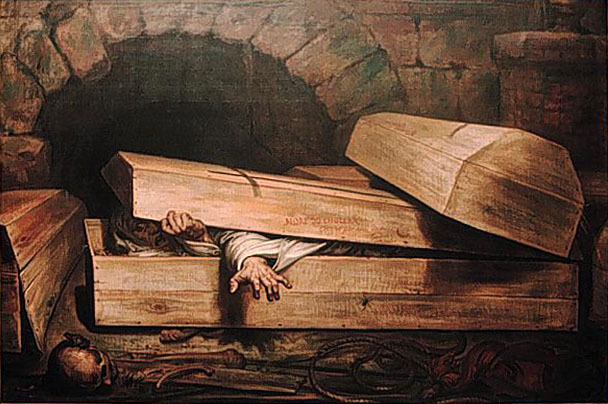 The actual number of people buried alive between the 1800s-1900s remains a mystery, but there are a number of cases that were well-publicized and the gruesome details relayed about them in newspapers and via word-of-mouth were enough to fuel the trepidations of the masses. Here are a few accounts that took place in the United States. These special provisions to guard against being buried alive weren’t limited to public figures. 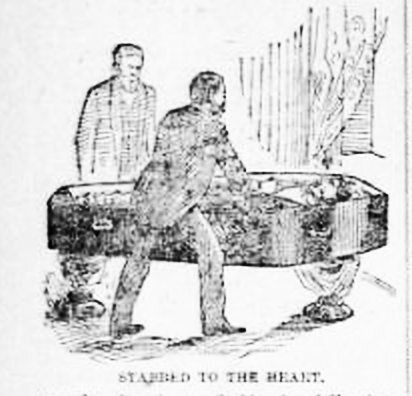 One account of a private citizen with a similar request involves George Fay of New Jersey who was so troubled by nightmares about being buried alive that he asked his family to hold off on burying him until he was obviously beginning to decompose and then a dagger should be thrust through his heart and then left in his chest. His family carried out his wishes, keeping his corpse above ground for two weeks before stabbing him through the heart and burying him.1 Former Boston attorney Alfred Giles believed that death was gradual and took place over a long period of time. He created a mortuary room behind a closet in his home where he wanted his body to remain until it had decomposed, which he claimed could be forty or more days. During that time, friends and family (not just an undertaker) would tend to the corpse. 7 To read the complete article about Mr. Giles’ fear of being buried alive, visit Misc. 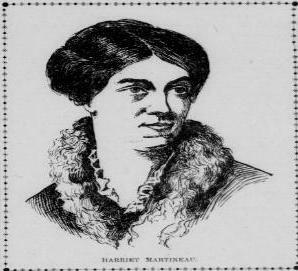 Tidings of Yore. This post is by no means an exhaustive study of premature burial. I plan on writing more in the future on the topic to include coffin innovations, burial reform, and steps taken by government officials and societies to prevent live burials from occurring. In the meantime, look alive! 4 Bondeson, Jan. Buried Alive: The Terrifying History of Our Most Primal Fear. New York: W.W.